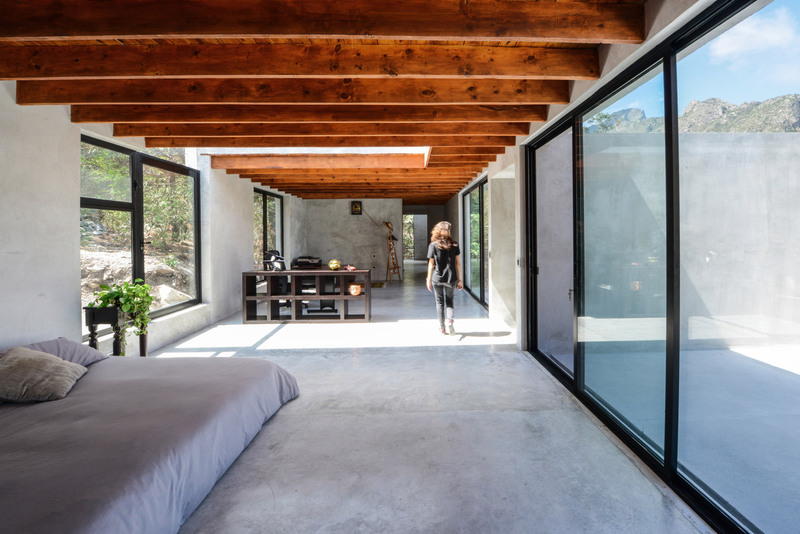 The 245-square-metre residence named Casa Bedolla comprises two volumes stepped down a wooden, mountainous site in El Jonuco, northwest Mexico. 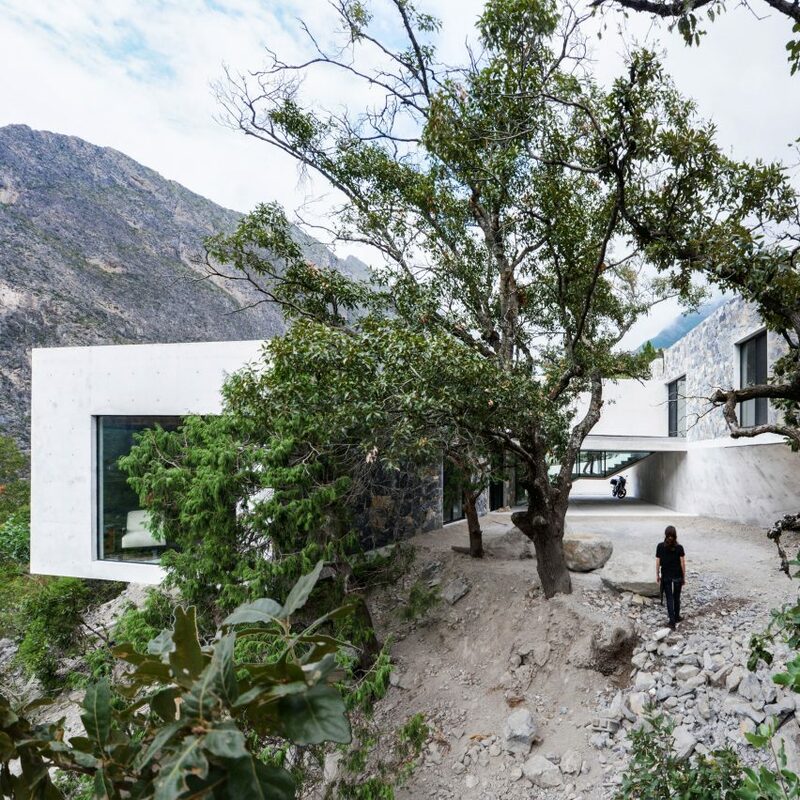 The two boxes are arranged at different levels on the hillside and at different angles to slot in “between the trees” growing on the site, drawing similarities to another property that P+0 Arquitectura completed in the wooded hillside area. 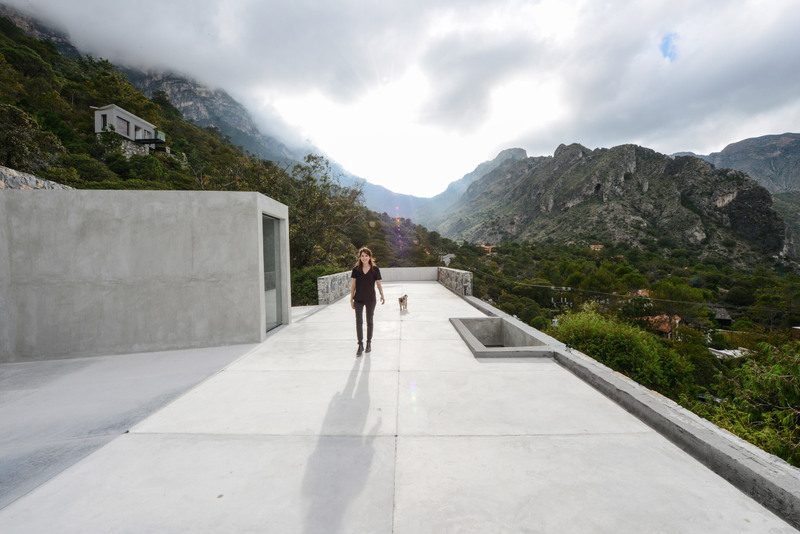 As with the other property, Casa Bedolla’s flat concrete roofs are also accessible and offer elevated vantage points of the surrounds. 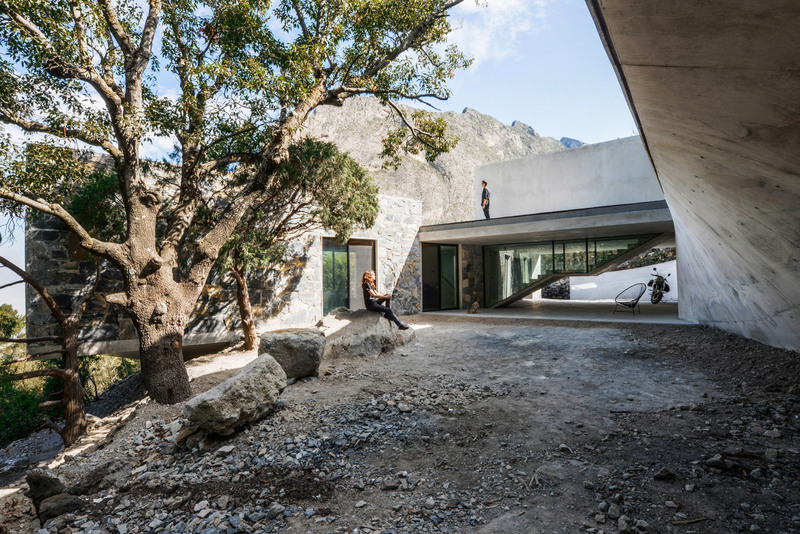 Casa Bedolla’s walls are formed from stone sourced from the mountains surrounding and are supported by a concrete structure. 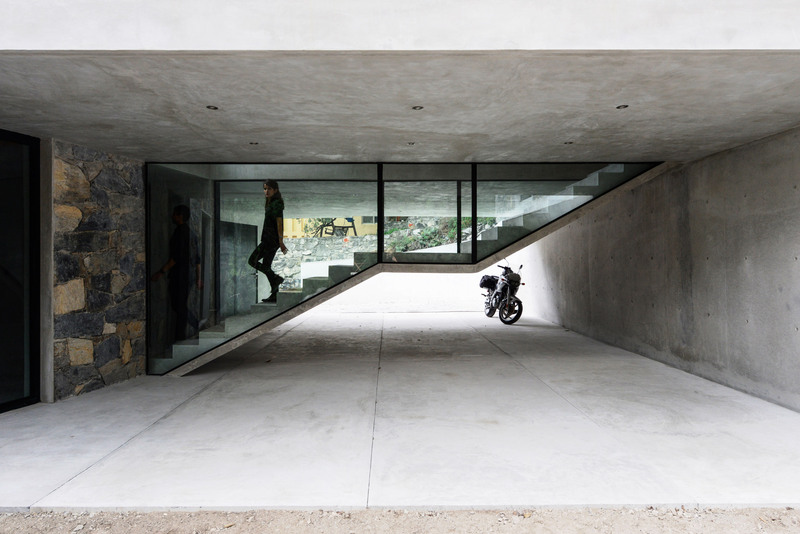 P+0 Arquitectura chose the construction method to navigate the tricky terrain – some of the concrete walls are swooped. 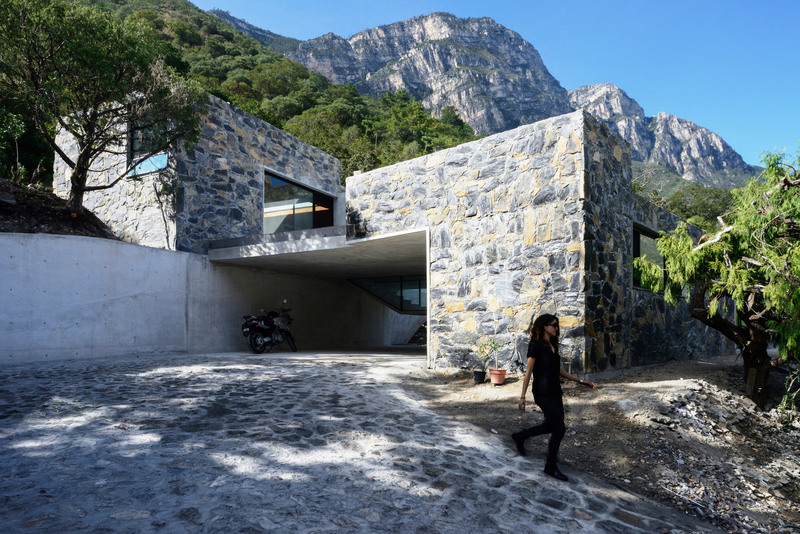 It also enabled the studio to cantilever the lower volume off the edge of the hillside over a ravine below. 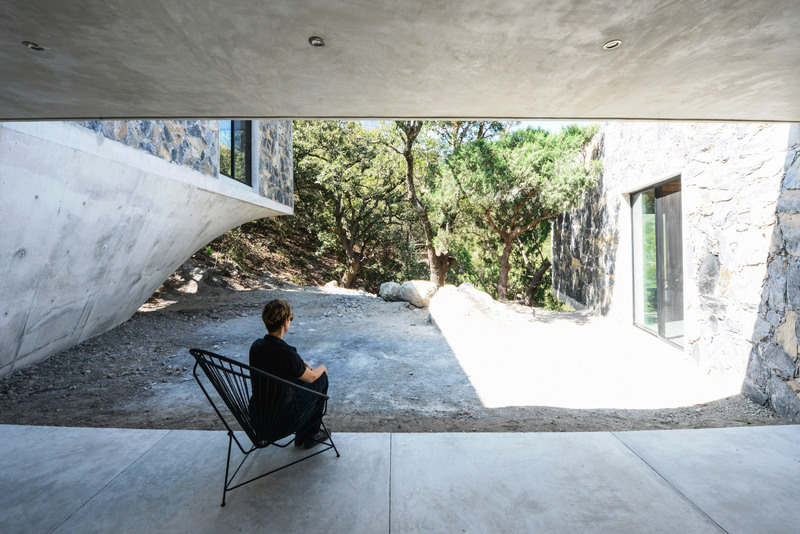 “The stone and concrete walls clearly define the heart of the project: a linear courtyard that from the entry runs towards the small oak forest at the foot of the ravine,” said P+0 Arquitectura in a project description. 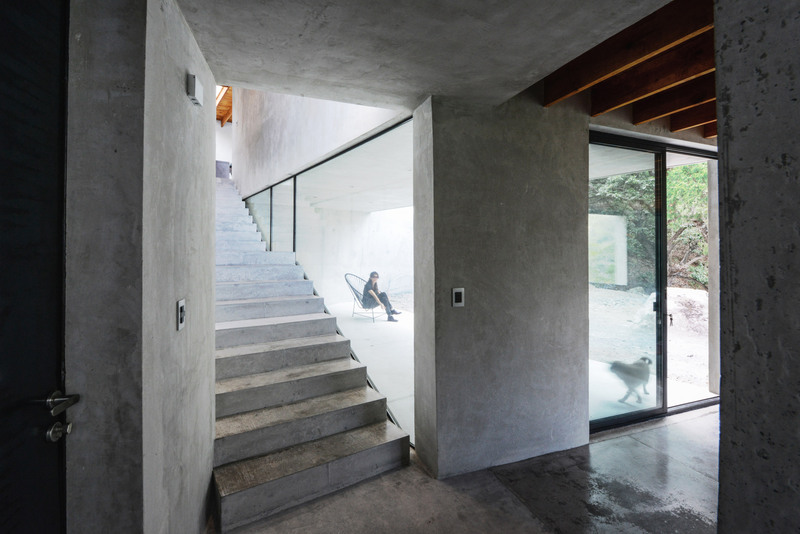 A concrete stair with glass walls cuts through this patio to provide a link between the two volumes from inside the house. 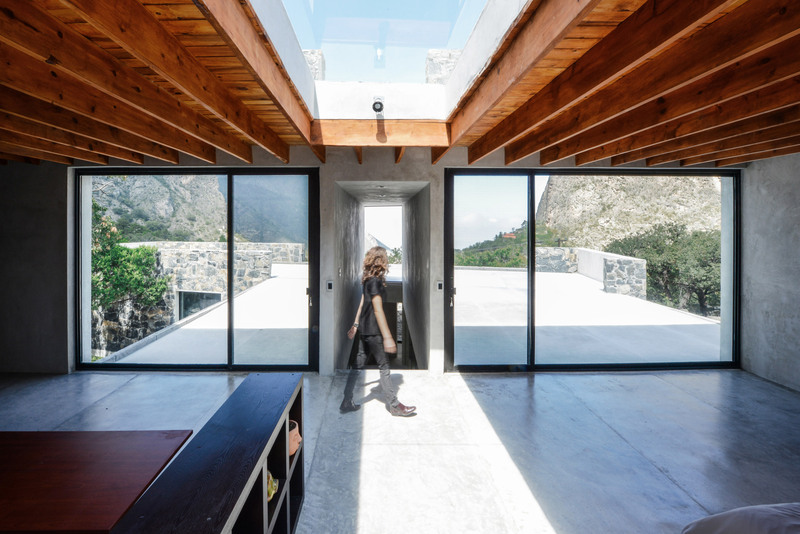 “By partially covering the central area a simple slab generates an indefinite space that solves the garage, forms a terrace towards the west, transforms the roof of the social volume into a solarium and breaks to connect both volumes with a linear staircase,” the studio added. 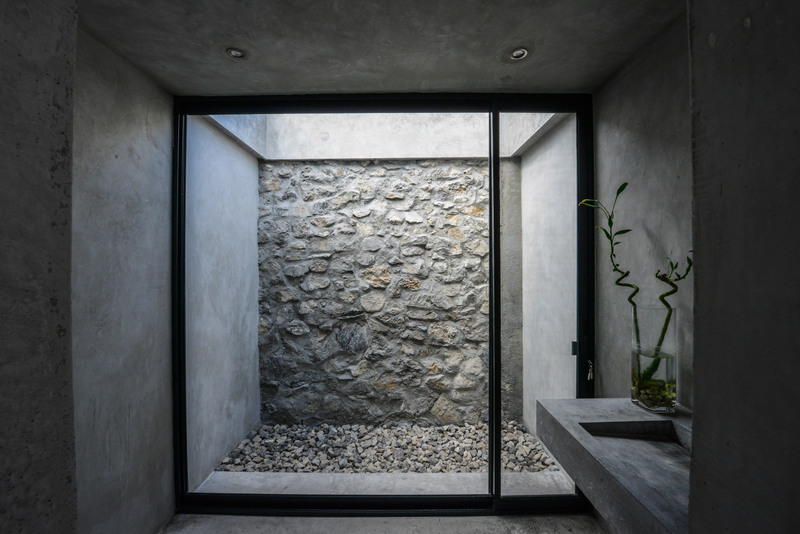 P+0 Arquitectura used the separation of the two volumes to clearly organise the arrangement of functions inside the residence. The structure on the highest level is designated as private space for a single person, while the lower structure serves as the social hub of the residence and contains communal space for entertaining guests. Floor-to-ceiling windows feature throughout the home to frame views of the natural surrounds. Furnishings are intended to blend modern aesthetics and traditional Mexican elements. Features include exposed concrete finishes, wooden ceiling beams that direct sight lines toward the landscape, and patterned textiles. Completed in 2017, Casa Bedolla joins a number of residences in the idyllic setting of El Jonuco. 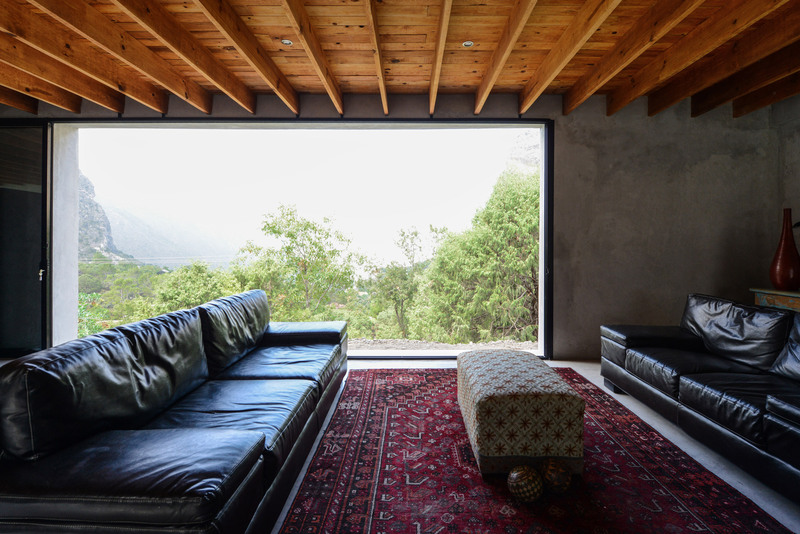 Others inclde a red concrete house that Mexican architect David Pedroza Castañeda completed in the area. Photography is by FCH fotografía and Juan Benavides. Collaborators: Ileana Luna Peralta, Luis Villareal, Yannick Strickler, Oscar Rodríguez. 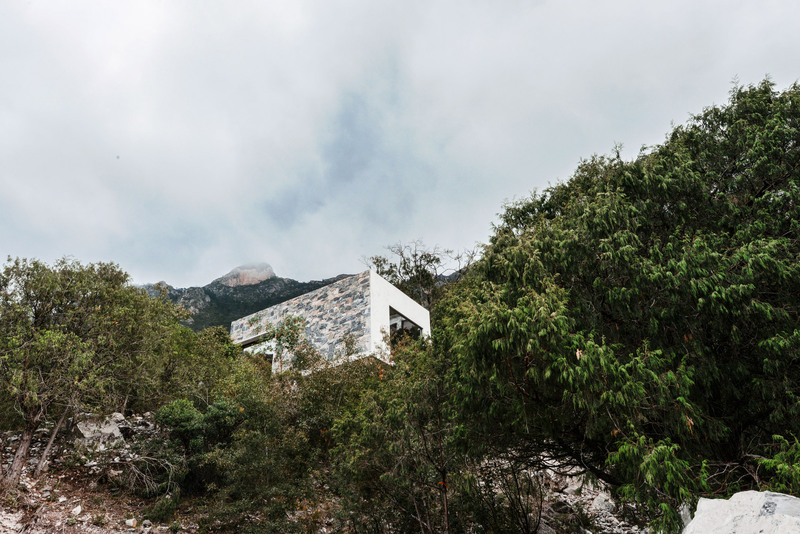 The post P+0 Arquitectura’s Casa Bedolla nestles among trees on Mexican mountain appeared first on Dezeen.